Keep full contact with your crowd! Need to get the word out about your next line up? 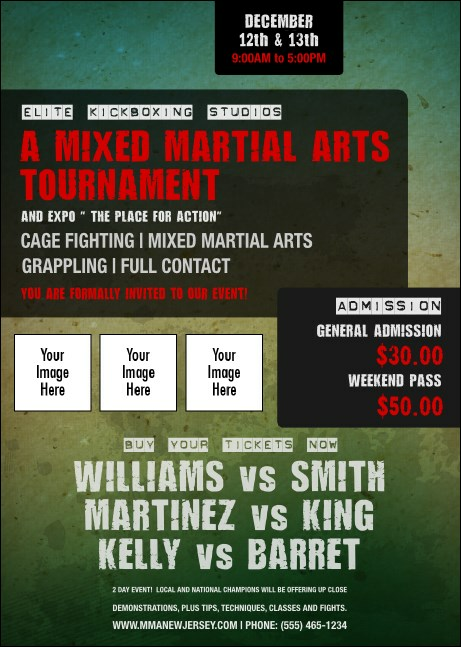 The Contemporary Mixed Martial Arts Postcard allows you to share the details of your MMA match with attendees. With plenty of space to showcase your competitors, this postcard template has room for three image uploads of your choice.